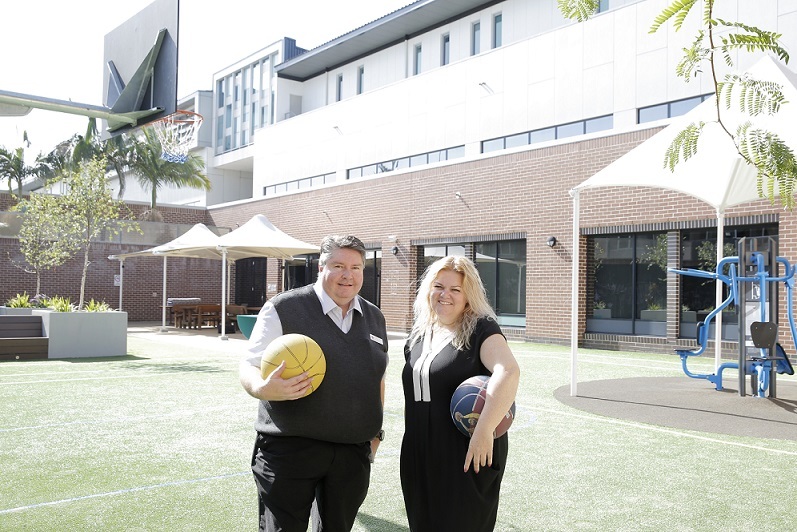 Courtyards across South Western Sydney Local Health District are transforming into spaces that can assist with the recovery process for mental health consumers. A basketball ring gives more active consumers a space to hone their skills while chalk boards allow creativity to flow. Speakers are installed so music can be played and trees and shrubs provide a more natural haven for those seeking peace and quiet. South Western Sydney Local Health District mental health director Claire Jones said the reimagined courtyards were complementary to the model of care being provided to mental health consumers. “There is still a feeling you are in a hospital but it is open, light, lively and comfortable,” she said. Therapeutic courtyards: South Western Sydney Local Health District mental health services nursing executive support manager Malcolm Stokes and mental health services director of nursing Kelly Walker check out the renovated spaces. More than $1.5 million will be invested in the creation of sensory rooms and the refurbishment of outdoor spaces for mental health consumers in the District. In total, five courtyards at Liverpool and Campbelltown have been refreshed, with plans to landscape other courtyards. Work has also started on two spaces at Banks House, Bankstown. “Positive interactions between staff and consumers are the foundations of a therapeutic environment and, the built setting can complement this,” Dr Jones said. The well-thought out spaces have been created by a number of people including focus group members, staff, consumer groups and patients and their families. The therapeutic courtyards works are part of the NSW Government’s long term plan to help mental health facilities refresh their physical environment to support modern care models. The State Budget has more than $2.1 billion in funding allocated to mental health services this year.